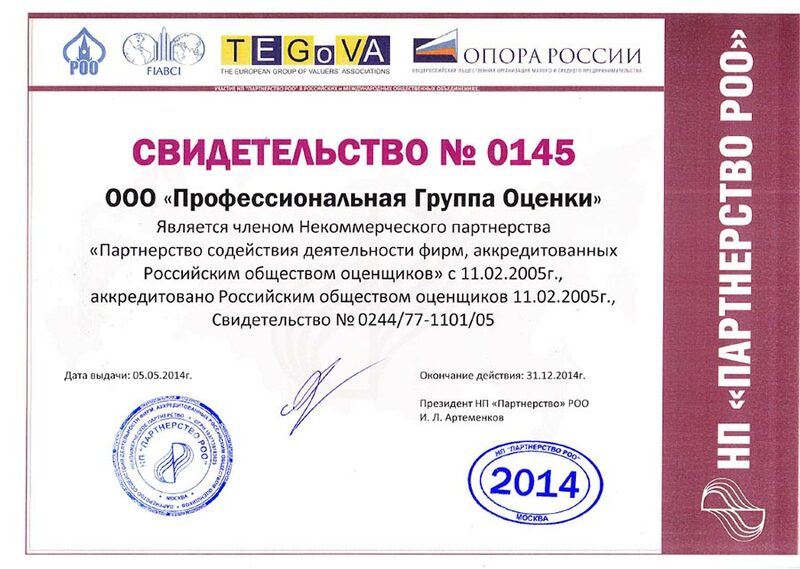 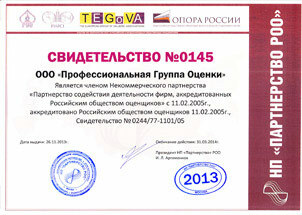 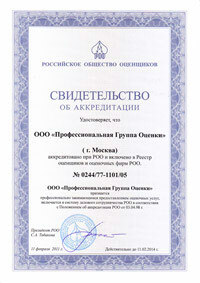 The Russian Society of Appraisers recommends our Firm as a reliable and professional valuer. 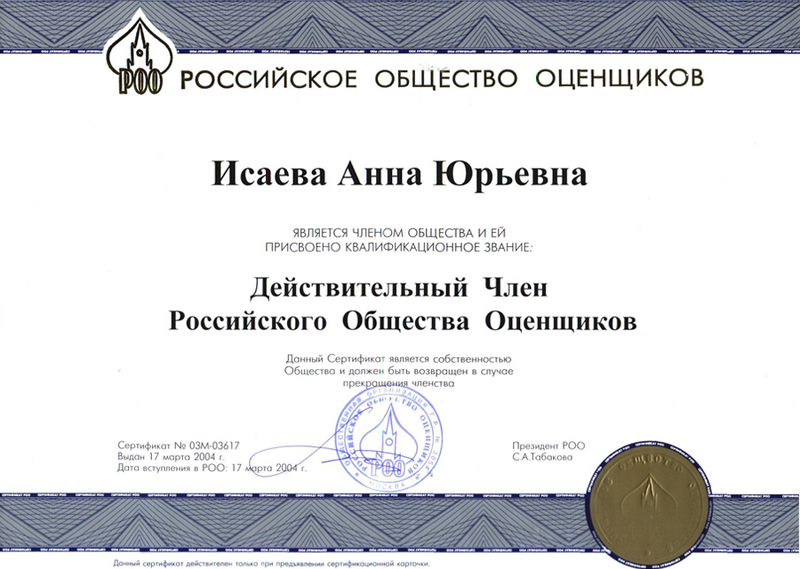 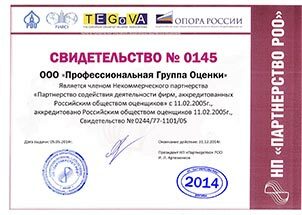 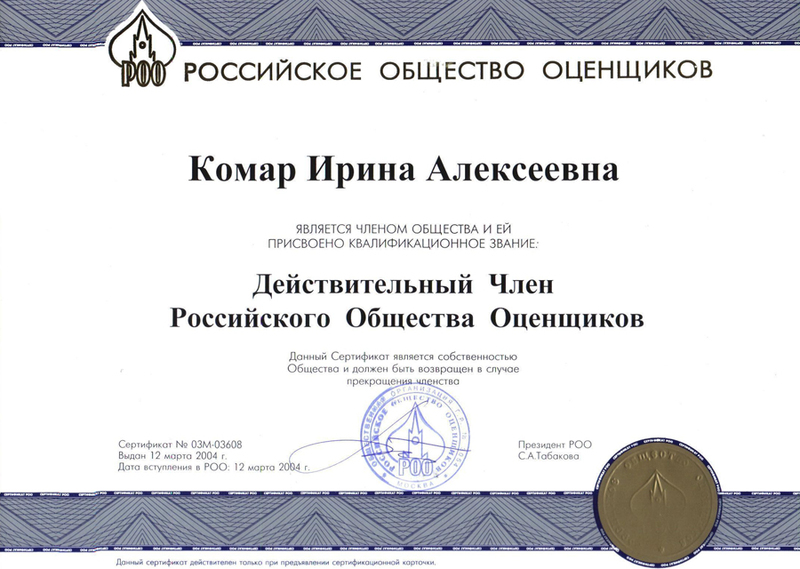 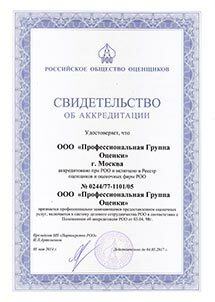 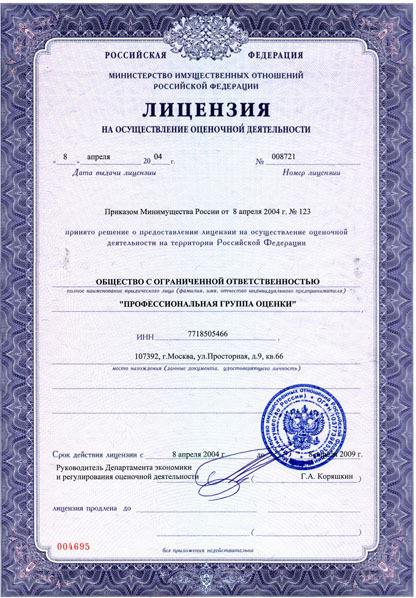 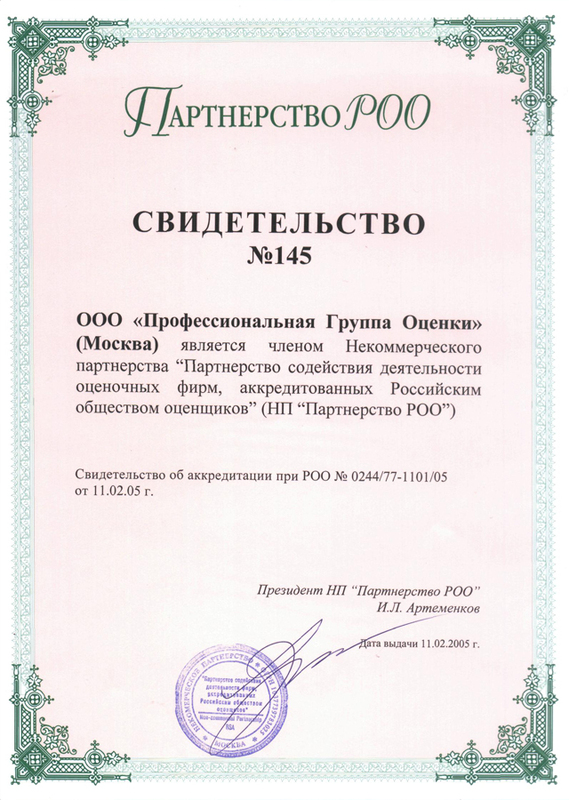 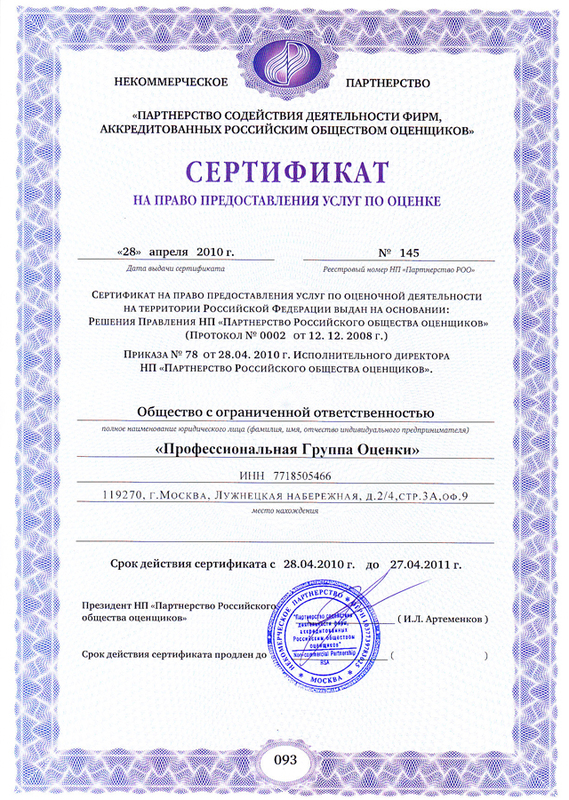 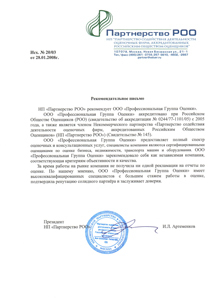 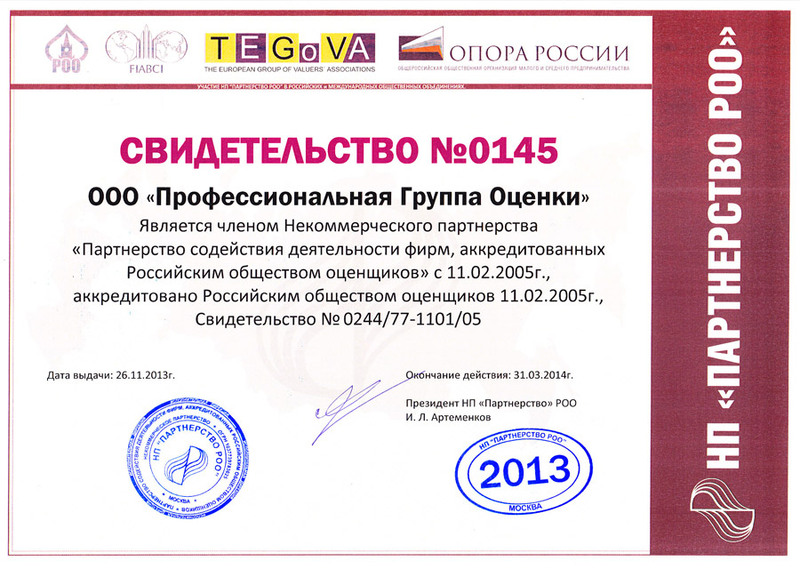 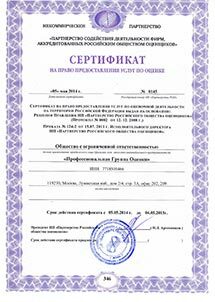 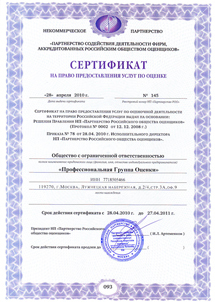 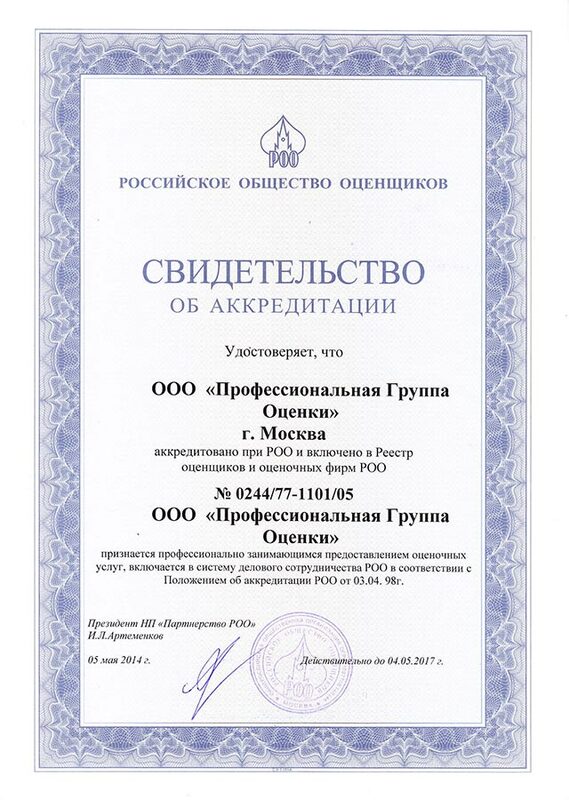 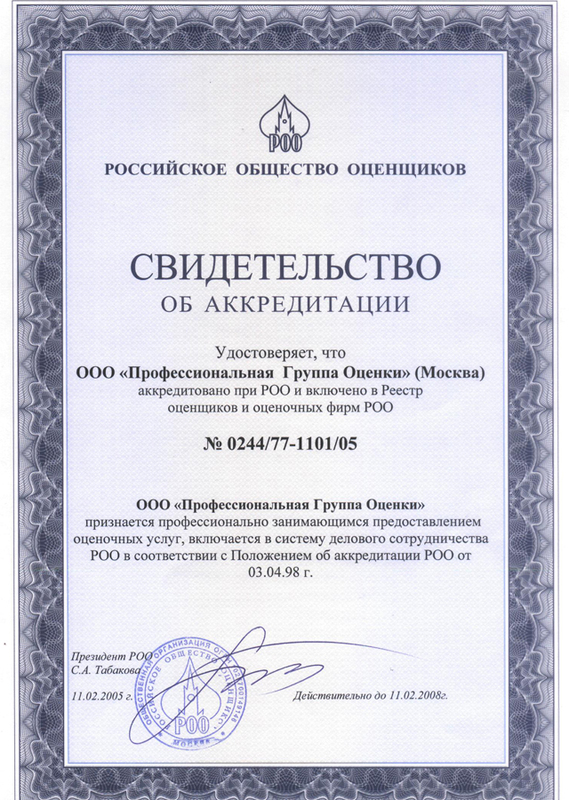 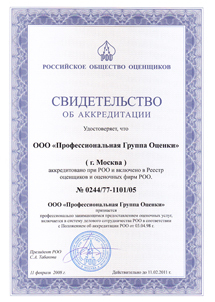 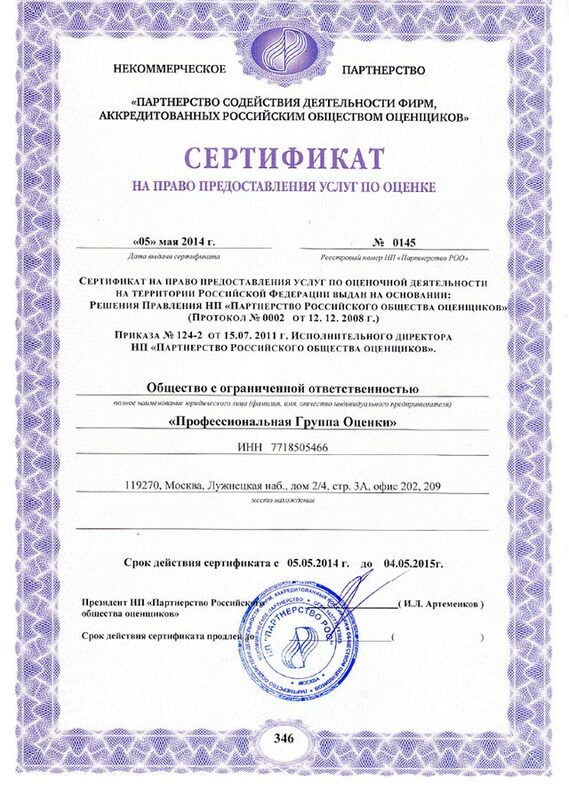 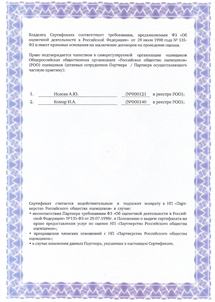 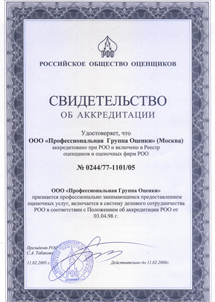 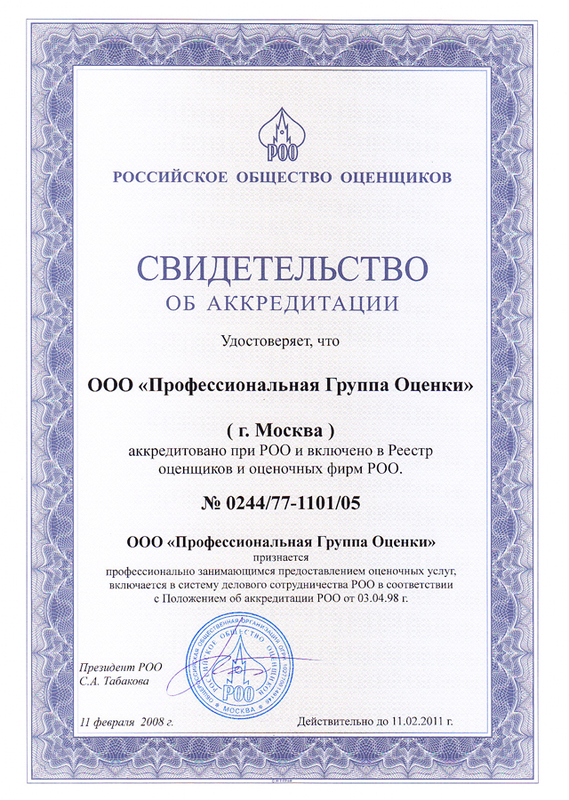 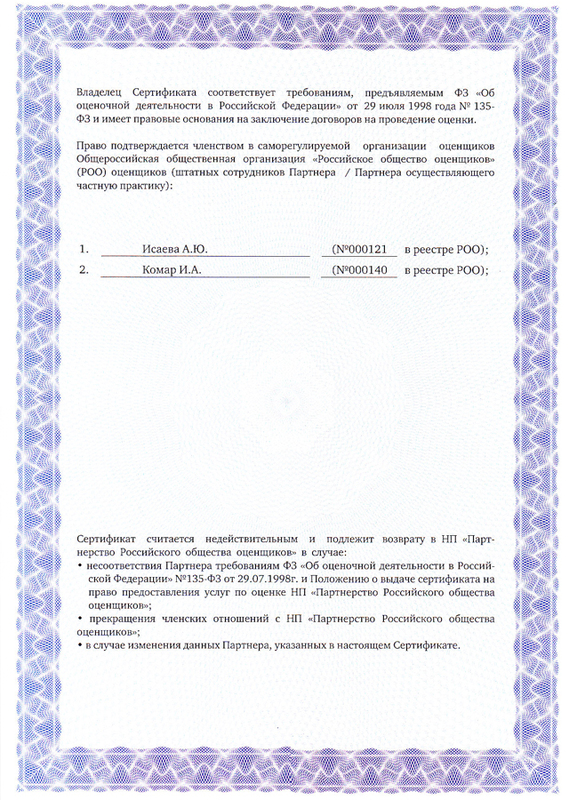 Professional Group of Appraisal LLC is approved with the Russian Society of Appraisers (ROO) (Accreditation Certificate No. 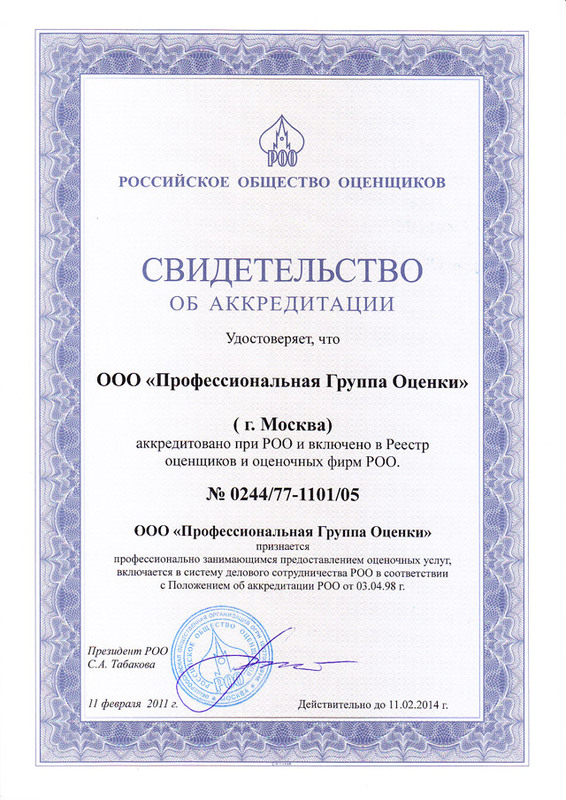 0244/77-1101/05) since 2005; also the Firm is a member of Non-Commercial Partnership “Partnership in contributing to the activities of the valuers approved with the Russian Society of Appraisers (NP Partnership ROO) (Certificate No. 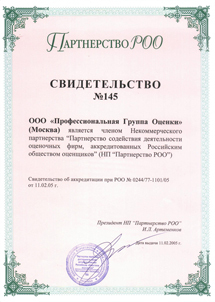 145).